Four-time Olympic champion Farah won last year's inaugural Big Half title by outsprinting Wanjiru in a thrilling finish, coming home in a time of 61 minutes 40 seconds. Britain's Charlotte Purdue won the elite women's race, with Lily Partridge second and Charlotte Archer third. Defending champion Mo Farah will step up his preparation for next month's London Marathon when he takes part in Sunday's Big Half Marathon. 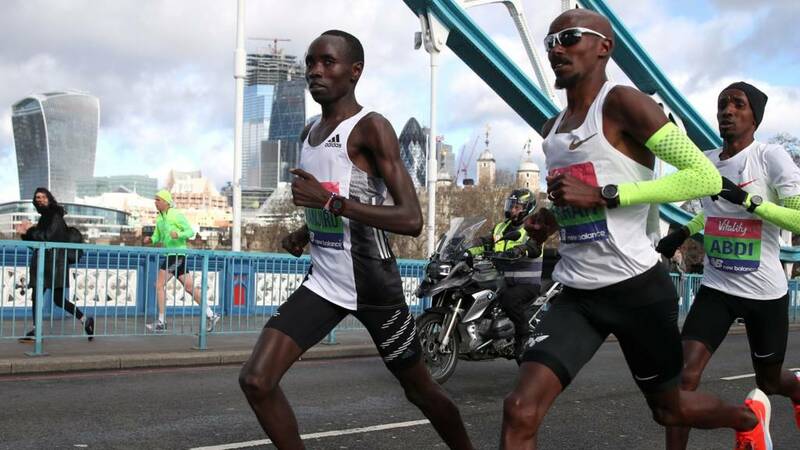 You can watch live coverage on the BBC as the Briton takes on Kenya's former London Marathon winners Daniel Wanjiru and Wilson Kipsang over 13.1 miles. In the women's race, 2018 champion Charlotte Purdue returns to the capital while Paralympic stars David Weir and Shelly Woods are the star names in the elite wheelchair races. The event will see more than 14,000 runners start north of the River Thames close to Tower Bridge at 09:00 GMT, head east towards Canary Wharf, loop back and cross Tower Bridge before heading to a finish at the Cutty Sark in Greenwich. Ahead of the Big Half Marathon Asha, Jarnail and Mya share their motivation for taking part, what doing the event last year meant to them and what they are hoping to achieve from getting involved this year. How can I watch and listen to the Big Half Marathon? Are you inspired to try running? Or maybe you are a keen enthusiast already? Get in touch and tell us your experience of the activity by tweeting us on @bbcgetinspired, visiting us on Facebook or email us ongetinspired@bbc.co.uk.